Although we've already highlighted one pump that adds shine to your wardrobe, but there is more than one way to add shine. With our third pump feature in our Week of Pumps highlight, we're adding shine in a bejeweled way. Adding a touch of sparkle to your look will have you shining all day and night. 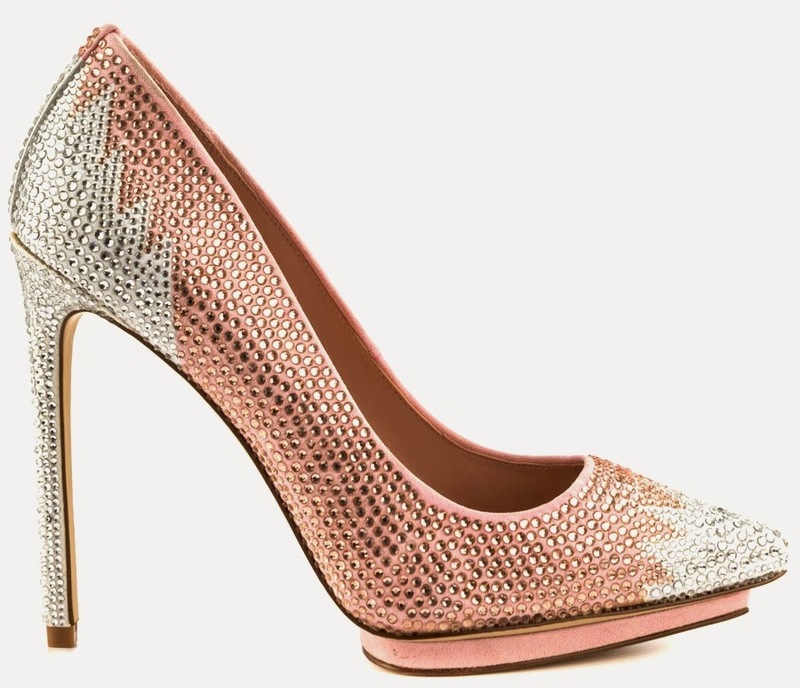 You will definitely stand out when you wear this beautiful Enzo Angiolini Kassim Pump. The dazzling pump is covered in shimmery rhinestones with a pink textile upper and frosted white accents, boasts a pointed toe, and 4 1/2" heel with a 3/4" island platform. Get it now in the above white/pink or black/white for $109.99 on heels.com.